VAC-TEC LLC. 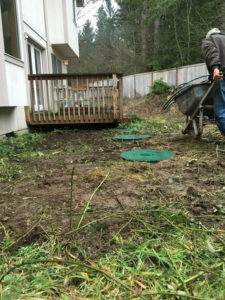 offers both scheduled and emergency septic tank pumping services in La Grande, WA, and the surrounding areas. For years, we have been helping our residential and commercial clients keep their septic systems clean and efficient. If you are noticing any of the telltale signs mentioned, call us for professional, affordable septic tank pumping services. We thoroughly diagnose the problem and come up with best possible solutions. A simple, routine septic tank cleaning can prevent a range of problems and save you both time and money. It is the key to improving the life of your septic system and preventing damage to your property. We offer professional septic tank cleaning services in La Grande. With septic tank cleaning, we can keep your septic system functioning trouble-free for years to come. We have the skills, knowledge, and expertise necessary to handle all your septic tank cleaning needs, quickly and efficiently. Get in touch with us to schedule a free estimate. 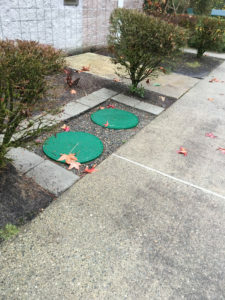 Why Should La Grande Residents Choose Us for Septic Pumping? Septic tank pumping is an easy, affordable way to prevent costly repairs and replacements down the road. It is important to hire a reputable septic company to handle your septic pumping needs in La Grande. Our highly trained and experienced technicians are available to handle septic pumping jobs, big and small. So, if you are looking for an excellent septic tank service, look no further. With fast response times and competitive pricing, we have become the go-to company for residential, commercial and municipal septic pumping needs. 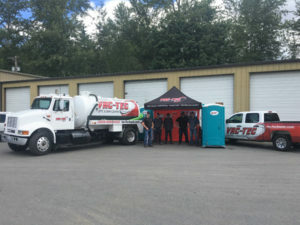 For more information on our septic pumping services in La Grande and the surrounding areas, feel free to call VAC-TEC LLC at Tacoma – (253) 777-4887 Seattle – (206) 339-0039 Olympia – (360) 338-6686 North Dakota – (701) 566-0045.